The primary purpose of the Auto FE Updater utility is to copy the developers front end Access file (MDB, MDE, ADP, ADE, ACCDB, ACCDE, etc) from the file server to the users PC. The files get copied down only when the developer places an updated copy of the FE on the server thus reducing network load. copying associated files such as Lebans' PDF DLLs, the InfoZip compression DLLs or other files. copying the files to a user specific folder on the network if required by the IT department departments or Terminal Server/Citrix Server environments. See the %user% variable. Such as \\Server\Share\Databases\FE\%user%. in the users Quick Launch area. Shortcuts can have custom icons and comments for the user to see when they hover over the shortcut..
CMD/BAT files to run the Auto FE Updater utility can be created for use with Citrix or as required. Command buttons to open various folders. With a few mouse clicks create a user email which the user only needs to click on the embedded hyperlink to setup and start executing your Access application. Users can click on the Copy To Clipboard item to easily email any error messages to the developer. The Enterprise Edition can automatically email all error messages to the developers and/or IT admin staff. 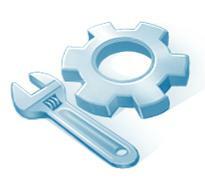 Lockout the users from entering the system so maintenance can be performed on the backend. The Enterprise Edition can view the users currently using the Access BE or SQL Server database file.